Wood carbon with exceptional adsorption qualities. The Parentis-en-Born (France) production plant produces activated carbon from wood. Built at the heart of the largest industrial pine forest in Europe, it benefits from a perfect geographic location. 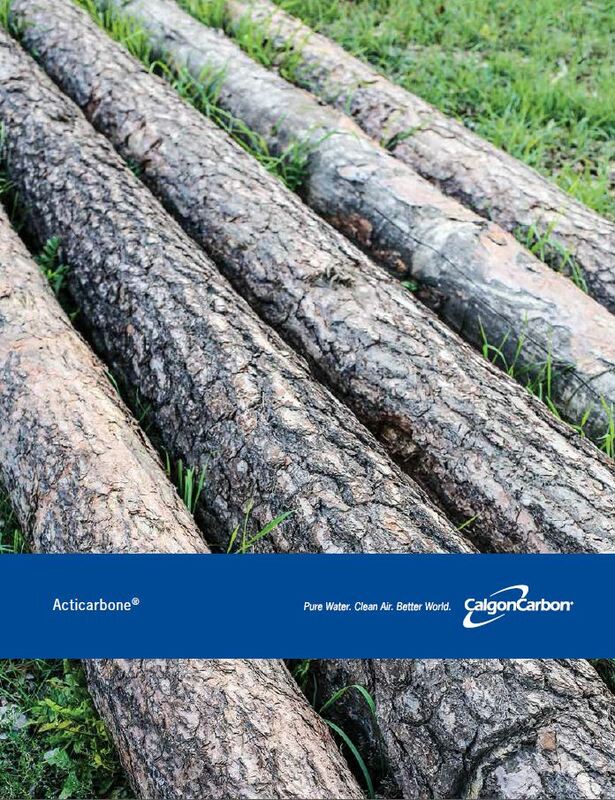 Calgon Carbon’s activated carbons from renewable raw materials marketed under the brand name Acticarbone® is known for its exceptional capacity for adsorption and filtration. Acticarbone® activated carbon is manufactured from vegetal raw materials and activated using various technologies, covering a wide range of porosities for decolorization, purification, and decontamination. Wood based activated carbon is particularly pure and suited to specialty applications. Thanks to the highly developed macroporosity, phosphoric acid chemically activated carbon is highly recommended for decolorization. Steam activated carbon is particularly effective in eliminating color precursors and unwanted odors. All of our products meet the certifications required by various markets (ISO 9001, oenological codex, kosher and halal certificates, etc.). Powdered Acticarbone®: Our powdered Acticarbone® products are manufactured from vegetable raw materials by steam or chemical activation. The excellent adsorptive capacity, high purity and good filterability of our products are appreciated in many different markets all over the world. Washed Powdered Acticarbone®: Our acid washed steam activated carbon offers a superior level of purity. They are extremely suitable for the decolorization and purification of very sensitive liquids like injectable pharmaceutical solutions (contrast media, antibiotics…). Acticarbone® BGP Granular: Produced from vegetable raw material, this carbon has its main application as a catalyst carrier in kerosene sweetening units. Acticarbone® Granular BG: Our BG-range granular grades produced from vegetable raw material are designed for purification of big streams of colored liquids in continuous processes. Acticarbone® Impregnated: These functionalized grades find their use in diverse applications like gas desulfurization or as radioactive iodine traps in nuclear power stations. Each grade has been specially tailored for its specific use. Dispersible Acticarbone® Pellets: These grades are pelletized activated carbon which instantly disperses themselves when contacted by an aqueous solution. They are the ideal choice when a handy dustfree alternative is required.